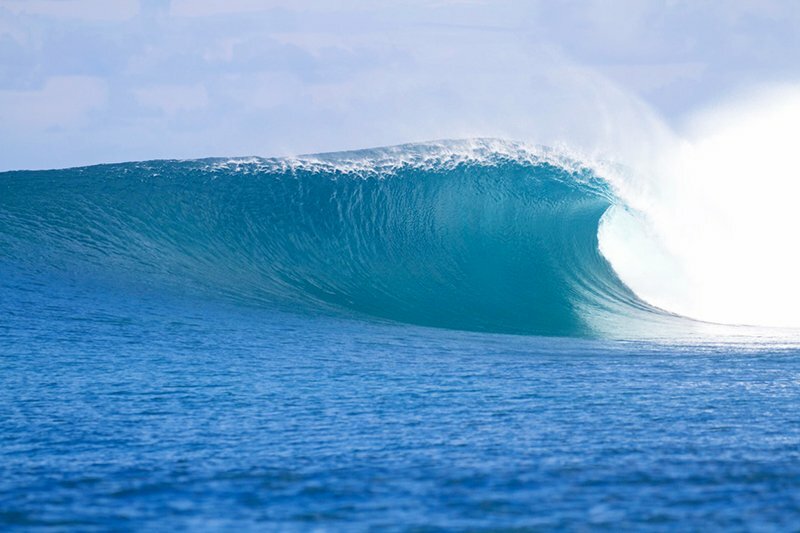 Telo Lodge was full to the brim with larger-than-life characters this last ten days, and as you no-doubt know already, the surf has been going mental. Let’s meet this eight-pack of tight-knit mates, all returning to the lodge for their second time. Jason Bonney from Brisbane. Organised the trip. Now known as Bubble Boy ’cause no one has ever frothed so hard for The Bubble in TIL history. Kept the commentary going on the boat the whole time. Outstanding human. Luke “Higgo” Higgins – Gold Coast. Mr Three-Surfs-a-Day. Spent more time in the water than on land. Pulled one of the old guns out of the rafters and got out there at The Big Right on The Big Day. Andrew McLaren – Sydney. Someone had to be the grown-up one here, and Andrew looked out for everyone, including the guides when they got beat up by the swell of swells. Adopted father of the group. Legend. Ben Mercer – Sydney. I.T wizard, never not smiling, and always getting out there no matter what. Sometimes lighter on in the wave count than others, but would make up for that with some solid rail-laying when his turn came. Tim “Chop” Reed – Brisbane. Uncle Chop-Chop lay down the biggest turns possible through the trip. Had his arse handed to him on ten consecutive waves at GT’s one arvo, came back to the boat, rehydrated, gave himself a good talking to, paddled back out and threaded a half dozen kegs. Also won the beer count. John Rigby – Brisbane. Chop’s wingman. Loved The Left as much as Bubble-Boy-Bonney loved The Bubble, but threw buckets on the rights when he eventually decided to head in that direction. Kulwant “Pangers” Singh – Byron Bay. Was a standout surfer out the front on a few bigger days. 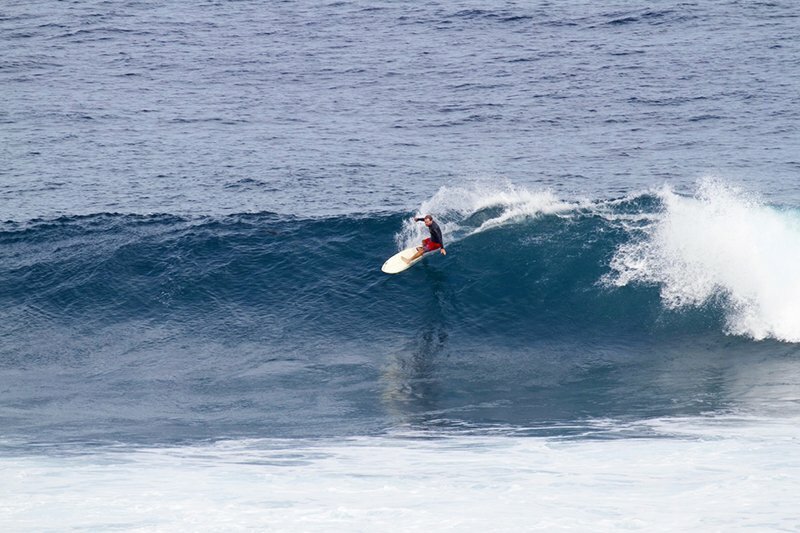 Snuck off for a solo session at The Left late one day to score it as good as it gets. Loved Le Ba. Pangers had a sick trip! Bill Farquharson – Hong Kong. Most improved surfer of the trip. Busy Yoga/Surfing/Beer schedule. Love affair with Le Ba, Max’s Right and late nights. Champion. So… look, it pumped. Everywhere turned on, GTs, Le Ba, Bubble, Patch, Schoolies, The Left. The super sessions were our home break out front, and also at our Mega un-named Right. God, it was SO big that day. Props to guide Dingo who ruled it, Higgo for trying his luck, as well as our yoga gal Sami for giving it her best shot. And guess what? There’s more swell on the way! Come on over and surf yourself silly.